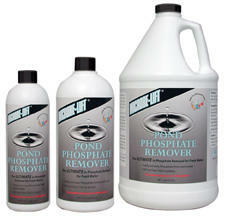 A chemical treatment for all pond fish that helps prevent ick parasites, fungus and bacteria BEFORE they cause problems. 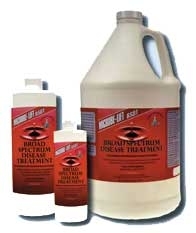 A mild treatment to help protect against parasites, bad bacteria and environmental stresses. 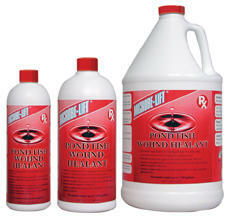 Reduces the possibility of infection and /or re-infection. Contains double slime coat protection. 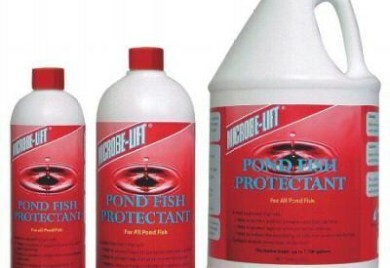 Use one ounce per 60 gallons per week or when adding new fish to the pond. 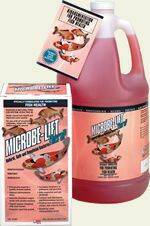 Microbe-lift Phosphate Remover is the Ultimate Phosphate remover for pond water. 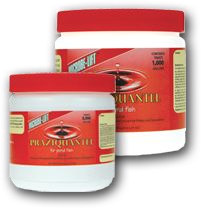 It is a polymeric blend with outstanding qualities, including the ability to tie-up large quantities of phosphate without negatively influencing the pond water in any way. Phosphate, which is caused by decomposition of organic substances such as food surpluses, dead plant matter and fish waste is only harmless in concentrations below 0.3 ppm in pond water. Will not harm fish or plants. 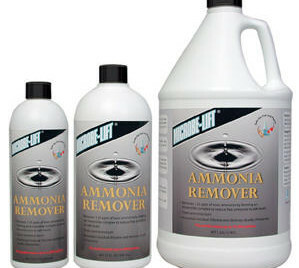 One ounce per 100 gallons.